(1988/Official) 14 Titel - Dampfhammer Rhythm'n'Blues aus den Jahren 1948 bis 1957! 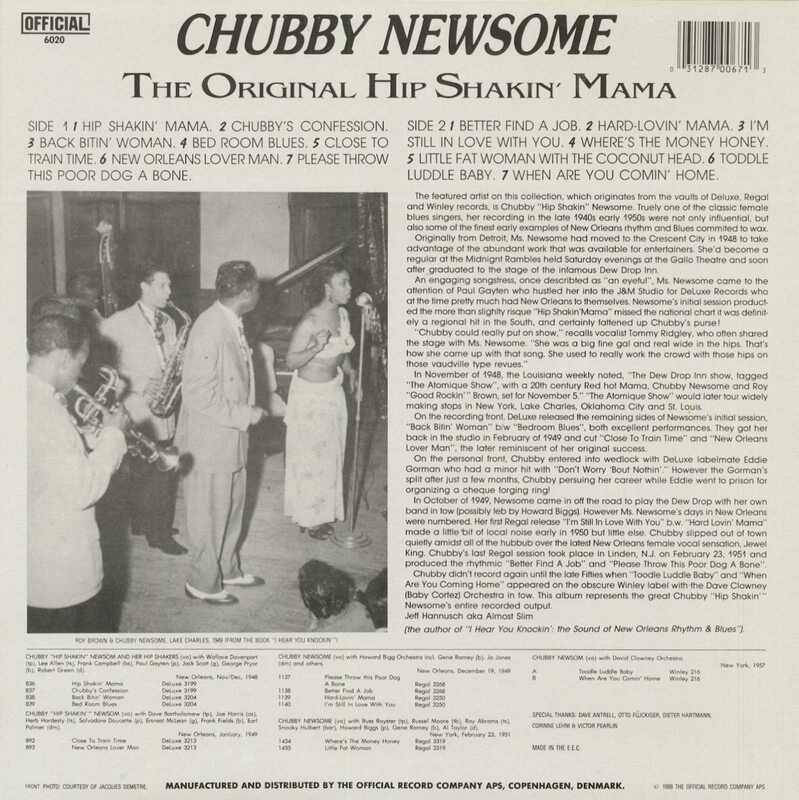 CHUBBY "HIP SHAKIN'" NEWSOME A native of Detroit, Chubby Newsome worked at several New Orleans clubs and theaters when the Brauns signed her in 1948. 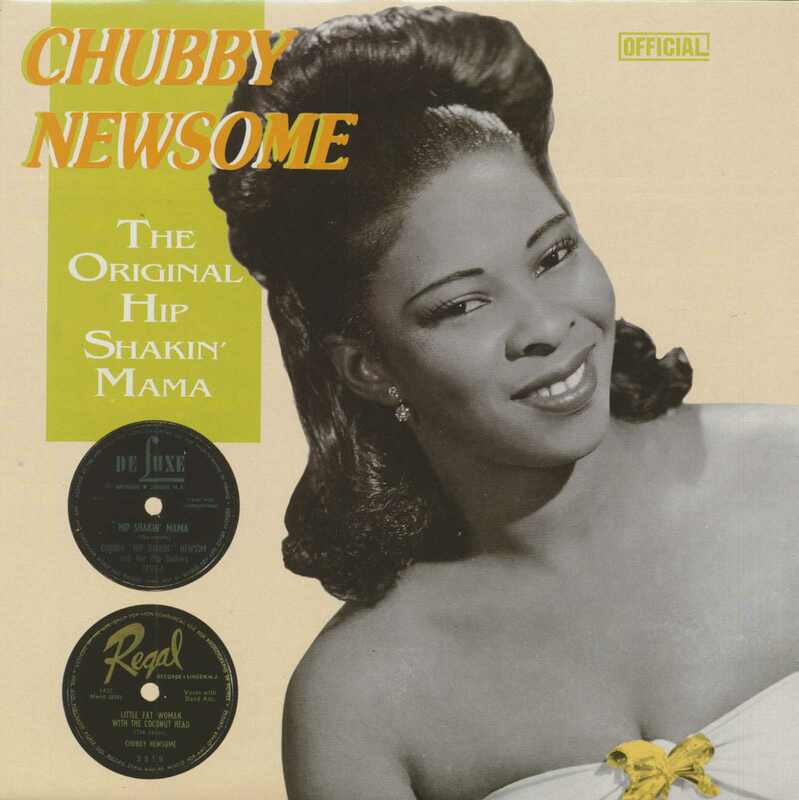 Best known for her initial De Luxe release, "Hip Shakin' Mama," Newsome wound up on Regal after the Brauns and Syd Nathan divided up the original roster of De Luxe artists. Kundenbewertungen für "The Original Hip Shakin' Mama (LP)"